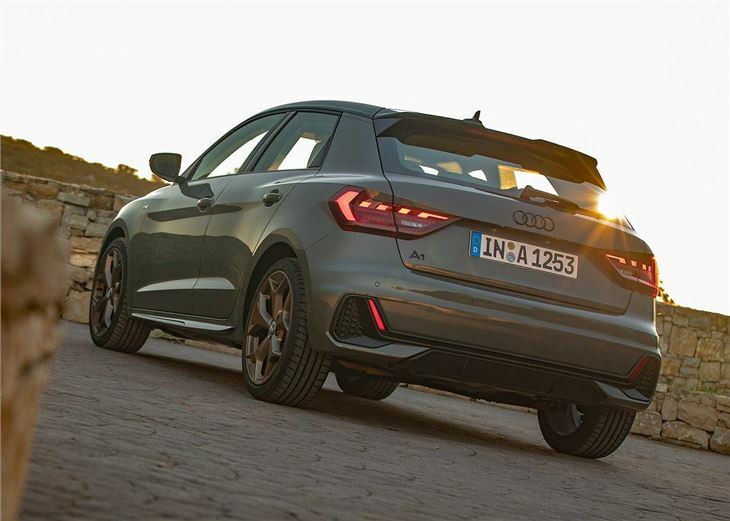 Satisfying to drive and packed with smart tech, the 2019 Audi A1 is a fun and upmarket take on the often practical and benign world of small hatchbacks. However, while the new A1 has plenty to offer image conscious buyers, it struggles to back up its sharp styling with true premium substance. 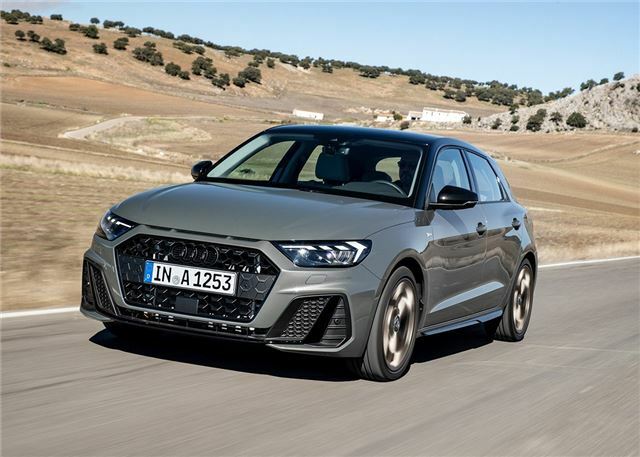 The all-new Audi A1 is based on the same mechanical underpinnings as the Volkswagen Polo and SEAT Ibiza, but sits at a much higher price point with the line-up starting from £18,540. Buyers get the choice of three turbocharged petrol engines, starting with the familiar three-cylinder 1.0-litre petrol with 95PS or 116PS. 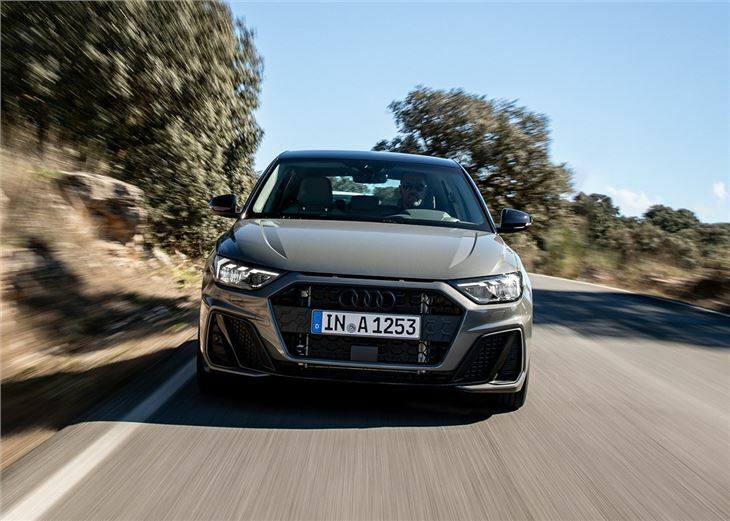 The A1 is also offered with the four-cylinder 1.5 TFSI with 150PS and the 2.0-litre unit with 200PS, albeit (we imagine) for significantly more money. 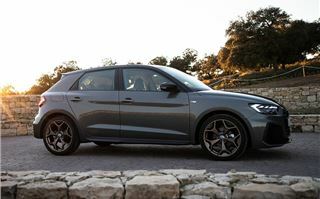 Audi expects the majority of A1 buyers to opt for the 1.0 TFSI with 116PS and a six-speed manual gearbox, although a seven-speed S tronic automatic is available as an optional extra (pushing the starting price up to £20,080). 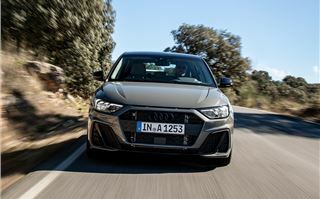 Depending on wheel size, the A1 30 TFSI returns an official 57-59mpg, while CO2 range from 108-111g/km. The A1 is instantly more involving to drive than the Polo, with its firmly weighted steering and suspension providing lots of feedback that makes it easy to feel at one with stylish little hatch. Opt for the tauter sport suspension – standard on S line models – and the A1 gets surprisingly close to the Fiesta ST, with agile and grippy handling - even if the modest 116PS petrol requires constant gearchanges to get the most out of its 200Nm of torque. Given the driver-focused set-up, the A1 is (as you might expect) a car with a firm ride quality. 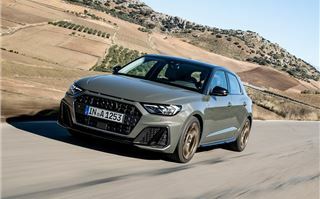 Delicate passengers will undoubtedly prefer the A1 on 15-inch wheels and standard suspension, while those who enjoy a regular B road razz will want 17-inch wheels, stiffened sports suspension and customisable driving modes. Adjustable dampers are also available, but result in a punishing ride quality that goes way beyond the pale when it comes to comfort in our opinion. Being based on the same platform as the Polo, the A1 benefits from similar levels of useful cabin space. The boot, for example, is one of the largest in this class with 335 litres. Lower the split folding 40:60 rear seats and storage expands to 1090 litres. 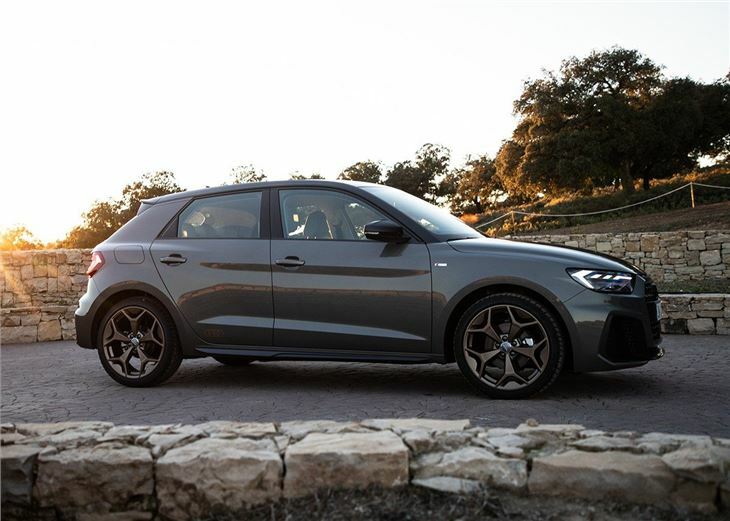 The A1 also gets five-doors as standard, which means you don't have to worry about passengers leaving muddy footprints on the seat backs as they climb in and out. However, while four large adults will have little trouble fitting inside the A1 and travelling in comfort, they might ask some awkward questions when it comes to value for money because the A1 has some undeniable similarities with the cheaper SEAT Ibiza and Volkswagen Polo. 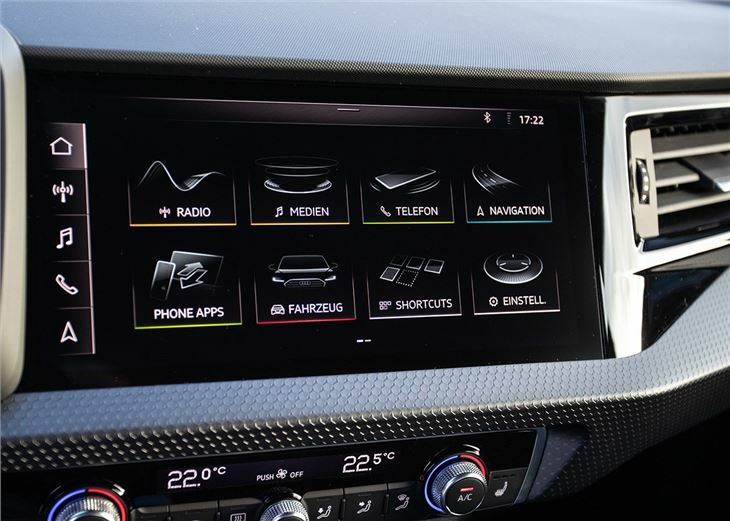 Audi has clearly had a good go at giving the cabin a premium makeover, by redesigning the dashboard and adding a scattering of soft-touch materials. But you don't have to look very hard to find some disappointing, cheap and hard plastics. The interior covers of the doors, for example, look like they have been lifted straight from the Ibiza. The A1 also feels less spacious, with the inflated dashboard and gearbox housing impeding leg space for those in the front. High spec models get large sport seats and these squeeze cabin space even further. The A1 is extremely well-equipped as standard though. Entry-level SE models get LED headlights, heat-insulating glass, electric rear windows and a digital instrument cluster, along with a smart 8.8-inch colour infotainment touchscreen. 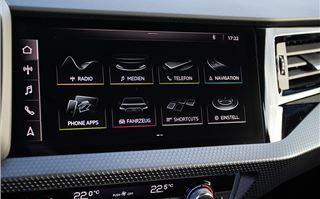 Top spec models also get leather upholstery, LED ambient light and the same 10-inch infotainment system as the Audi A8. There is no shortage of safety tech either, with lane departure warning and semi-autonomous emergency city braking fitted as standard. The A1 will also initiate an emergency phone call in the event of an accident and send its GPS coordinates to ensure that emergency services know the car's exact location. 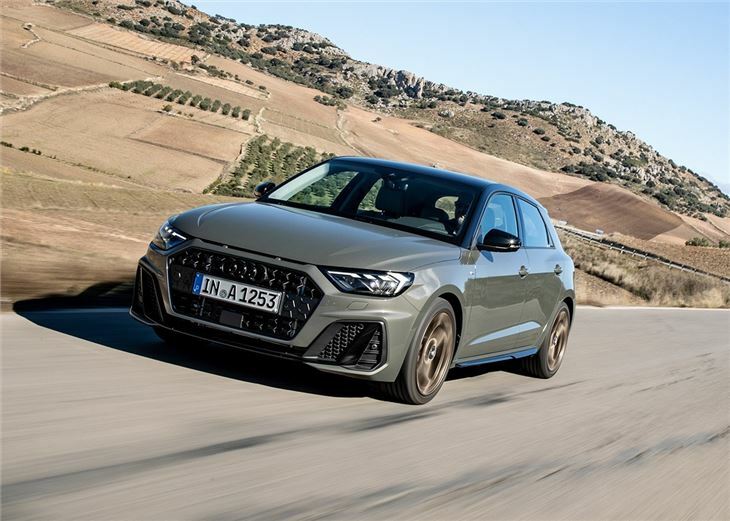 Yet, even with the full tour de force of Audi’s technical department, the A1 cannot shake the fact it's very similar to its Volkswagen Group stablemates. And it is here that we have our biggest issue, because the A1 doesn't quite deliver the premium experience it promises. Visually, the Audi A1 is stunning. It's also great to drive, with sharp handling and one of the best three-cylinders in the business. But there will be many who feel more than a little short changed by the disappointing cabin quality and high list price. 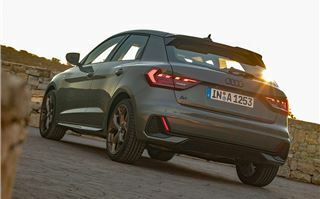 The 2019 Audi A1 is on sale now.